Understanding the art of copywriting is key when creating advertising that sells. You want your clients to be wowed by your words. So, when nailing down good copy, it can be helpful to take advice from the best in the biz. And, David Ogilvy—who’s considered the Father of Advertising—is one of those people we should, without a doubt, turn to. One reason being, he was so successful with his content. Not to mention, he believed you should treat customers with intelligence using everyday language. Read on to explore some of his timeless nuggets of wisdom that still apply today. 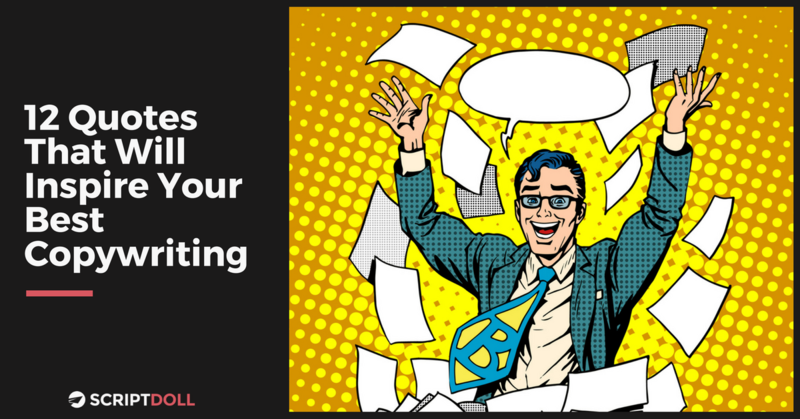 Ready to use these pearls of wisdom in your copywriting ASAP? Then try ScriptDoll for $1 and let us do the writing for you. I bet that grabbed your attention! Luckily, it’s not too good to be true. Our software can do the heavy lifting while you focus on other important business needs. Plus, you’ll have access to sales letters, email sequences, video scripts, and more! Go ahead and get the copy that is guaranteed to sell. You’re only one click away.